Hockey season is less than two months away (hopefully), which means that the rivalry between the Washington Capitals and Pittsburgh Penguins can be renewed. 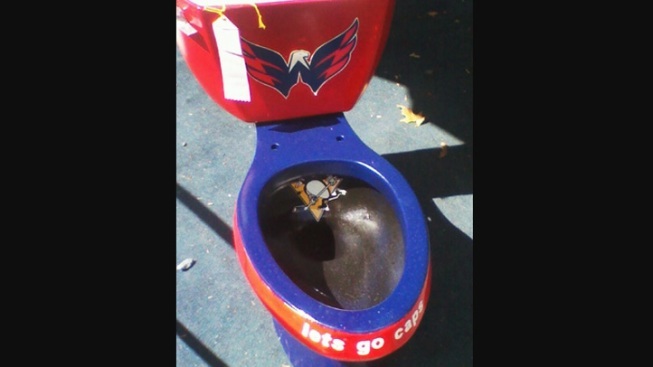 According to "RedBirdie," this toilet did not win. I'm flushed with anger.